Cape Town - The R2bn penalty for poor quality coal imposed on Optimum - which has since been acquired through the Gupta-owned firm Tageta - would remain in force and payable, Eskom maintained on Tuesday. 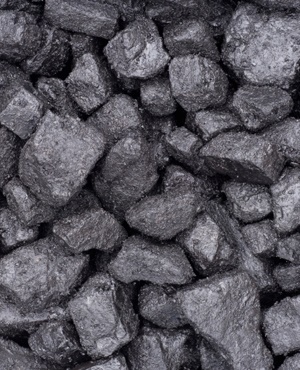 The Eskom board, which concluded a two-day meeting in which the state utility’s key performance targets were assessed, deemed it important to address what it termed "the perennial issue of the Hendrina coal contract" with Optimum Coal Mine. The mine, which supplies 5.5 million tons of coal annually to the Hendrina power station, was recently given the go-ahead to be sold to Tegeta Exploration & Resources, after concluding a conditional R2.15bn transaction to buy all of the assets of Optimum. Tegeta is owned by the Gupta family’s Oakbay Investments, which controls the publicly traded Oakbay Resources & Energy Ltd.
Optimum had been supplying coal to Hendrina on a fixed-price contract since 1993, but for the last few years has been supplying Eskom at a loss and was placed in business rescue. Until recently, Glencore was the owner of Optimum and had a long-term contract to supply coal to Hendrina until 2018. Glencore was fined R2bn by Eskom last December for supplying substandard coal, although the mine had initiated litigation against it. Late last year, Glencore ran into financial difficulties and was placed under business rescue. Glencore then decided to sell the mine to Oakbay Resources. "During the business rescue process, Eskom emphasised that it didn’t matter who Glencore and/or the business rescuers would sell the mine to," Eskom said. • the R2bn penalty imposed on Optimum will remain in force and payable. None of these conditions had changed, Eskom emphasised. "Of critical importance is to note that Eskom has issued summons against Optimum for failing to supply coal that meets the quality specifications of the Hendrina power station. Once the business rescue process has been finalised, the legal proceedings will continue to run their course," it said. It added that, as far as Arnot power station coal supply was concerned, Optimum and six other companies had been supplying coal to that station in the normal course of business since January 2016. This followed the expiry of Exxaro’s contract in December last year. Eskom said a new long-term contract would be signed with the winning bidder or bidders in due course.